With a size range that covers over 80% of the Europenan tyre replacement market the Sonar tyre brand has experienced rapid growth sincesetting up a European warehouse in the Netherlands. 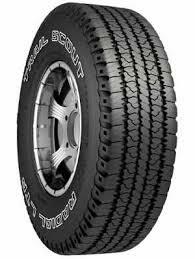 Offering EU tyre labelling infromation for all of their tyres and recently recieving plaudits for it's range of budegt tyre models and sizes the Sonar tyre brand it certainly a budget tyre manufacturer to contend with. With manufacturering factilites in the Far east and 25 years of experience in the industry, the Sonar Tyre company knows a thing or two about the budget tyre market. With all European certifications achieved including both DOT markings and the E-Mark you can rest assured you are buying a quality budget tyre with Sonar tyres. 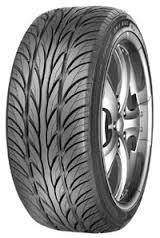 To find out more about the Sonar tyre company or the range of sizes and models available on the Sonar Site, or alternatively you can view the current stock of Sonar tyres that Easywheels.co.uk has below. S860 from Sonar are great options that provide excellent performance and comfort on every journey. You’ll also benefit from fantastic longevity that will let the tyres prove their value to you over their lifespan. Sonar reliability is well-known and the amount of traction and stability you can enjoy on every journey allows you to get the most out of your driving on each journey. These options will not let you down and are great choices so don’t miss out on Sonar S860 tyres. SX-1 tyres from Sonar are incredibly reliable, durable and offer great performance on every journey. You can benefit from excellent traction, stability and responsiveness in both wet and dry conditions and you can have the confidence you need to get the most out of every journey and never be out of control. These options are fantastic value, lasting longer than many rival products but also being available at a great price to make sure you get the best deal every time. Sonar SX-1 tyres should not be missed. SX-1 Evo tyres from Sonar are incredibly reliable and long-lasting options that any driver would be glad to have. They offer excellent performance on both wet and dry surfaces, with great grip and stability to be enjoyed on every journey. Reduced road noise and increased water dispersion help with comfort and safety respectively, making SX-1 Evo tyres a great choice for any driver. 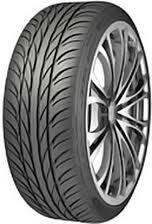 You can enjoy these great value tyres on every journey and they are a great choice when you need a change.